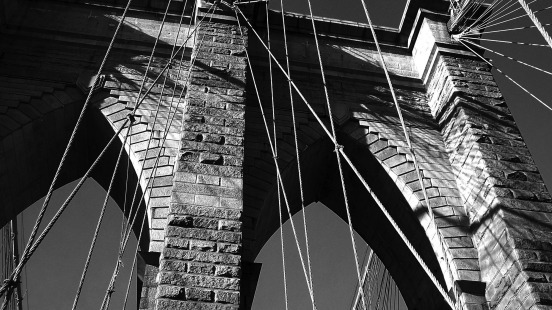 Architectural detail of The Brooklyn Bridge. I always had a fascination with bridges, how they were built long ago without the technology and equipment we have today. How they withstand the weather and immense traffic all these years. Born in Brooklyn its logical that the Brooklyn Bridge is my favorite bridge. I walk around that neighborhood and on the bridge whenever I get a chance. Its always a new experience depending on the season, time of day and the ever changing Manhattan skyline in the background.